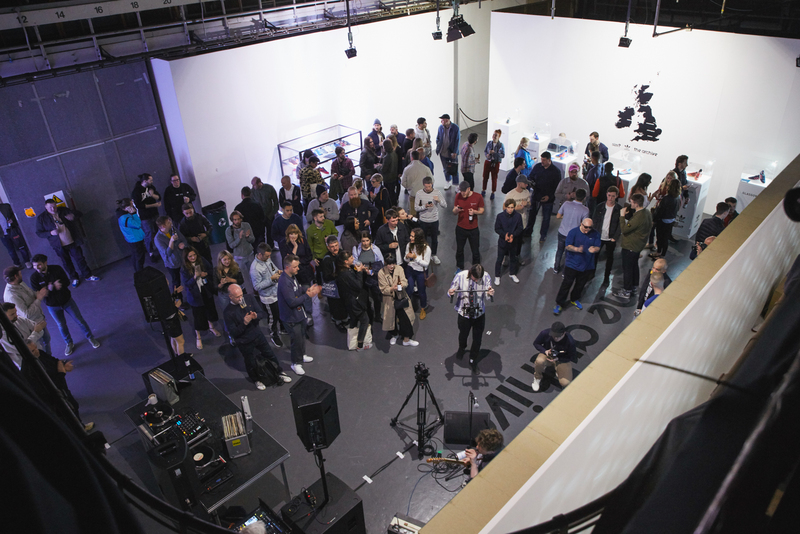 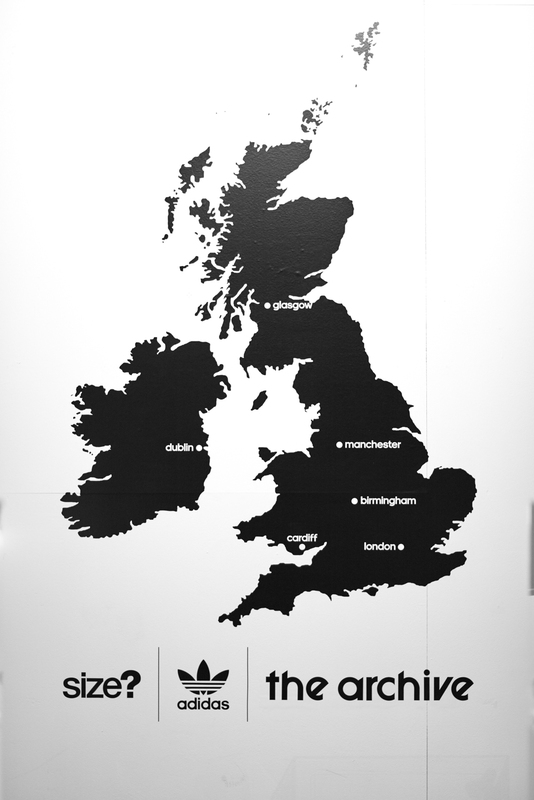 This month some of you lucky northerners may have been fortunate enough to have been able to come through and take a look at our adidas Originals Archive exhibition at Granada Studios, a showcase of our extensive work together with the brand for the last 8 years. 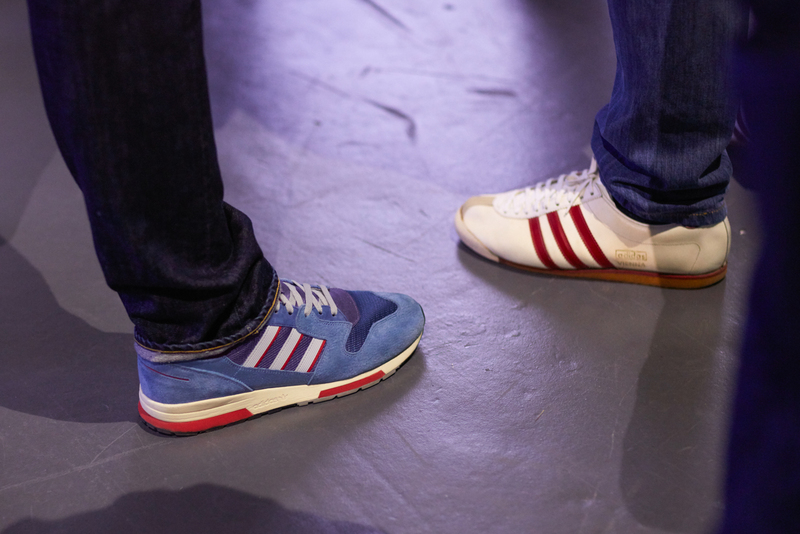 The space brought together limited edition releases from our exclusive Archive collections, which bring back some of your favourite silhouettes from over the years, both in original colourways and with new renditions. 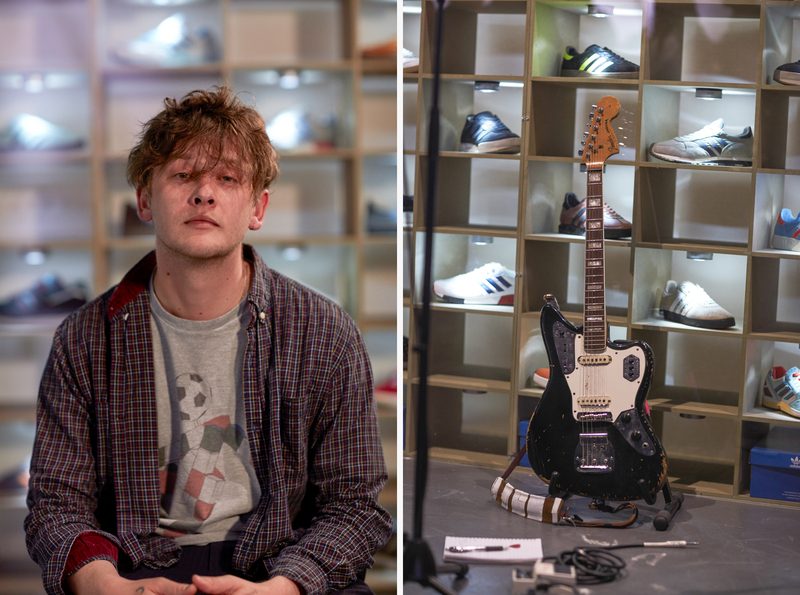 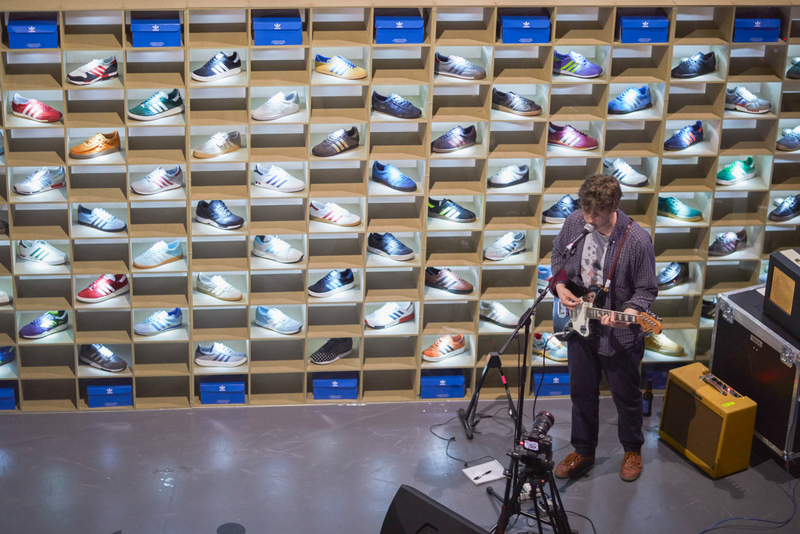 To soundtrack the evening we enlisted established singer and songwriter Bill Ryder Jones, a self-confessed adidas head himself, to play a short solo set for attendee’s. 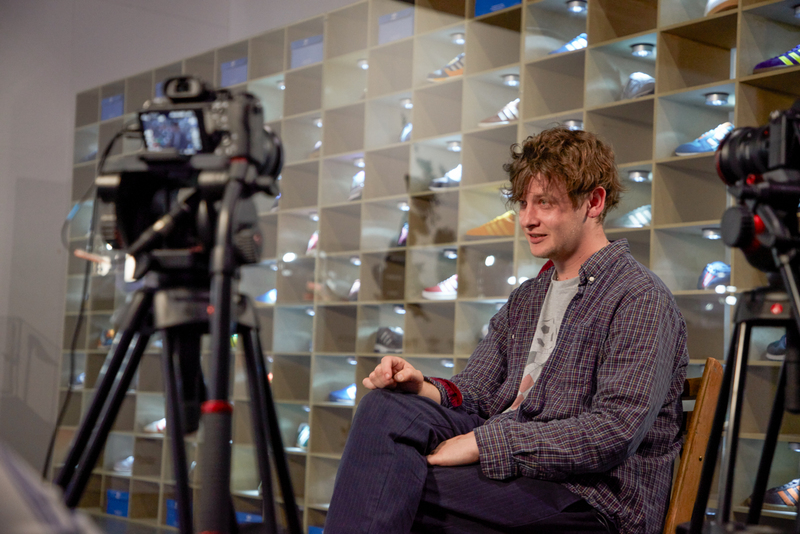 We sat down with Bill beforehand to get a gauge on how he originally discovered music, which in turn led him to develop a relationship with adidas Originals, and even star as a posterboy for one of the Spezial campaigns.